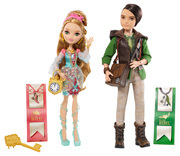 Start a new chapter with Ever After High, where the teenage sons and daughters of famous fairytales decide whether or not to embrace their parents’ legacies. 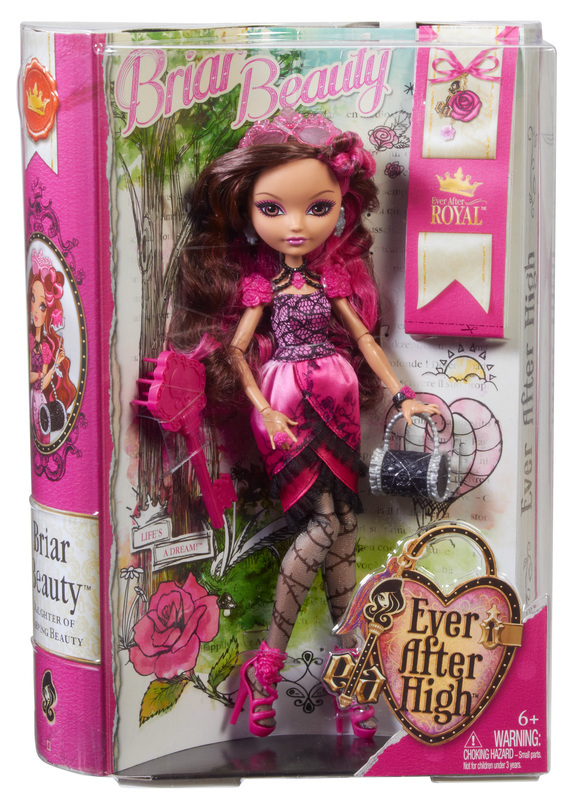 Destined to sleep for 100 years before her “Happily Ever After” comes true, Briar Beauty doll, daughter of Sleeping Beauty, makes every waking moment count as an Ever After Royal. 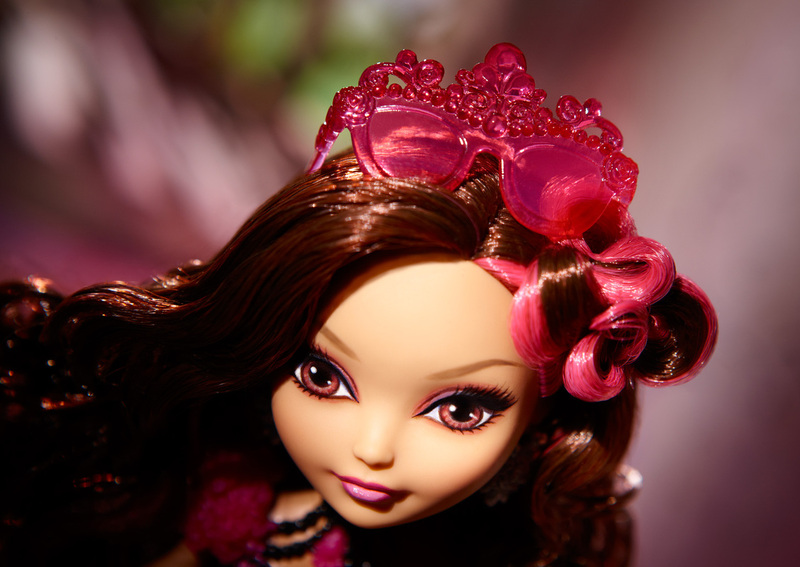 Dressed in spellbinding fashions, Briar doll also comes with a doll stand, doll hairbrush and bookmark that tells her side of the story. Ages 6 and older. 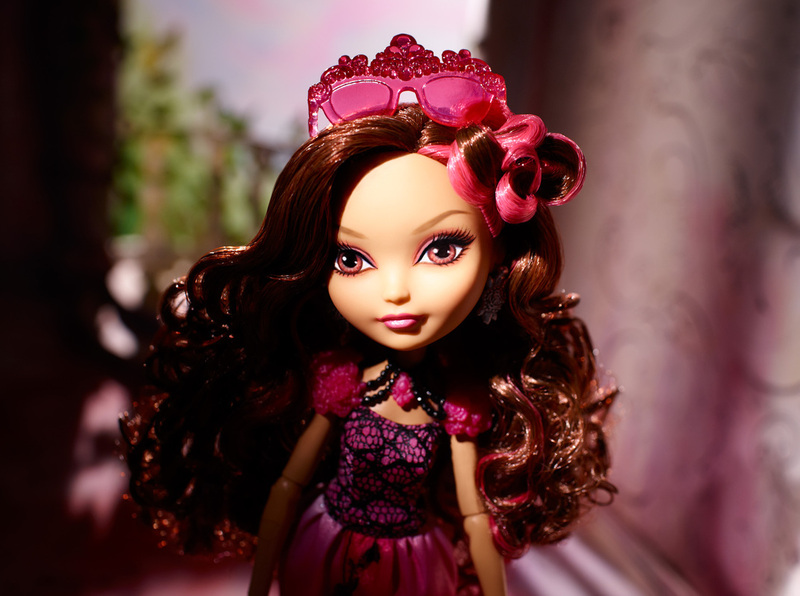 Briar Beauty doll, daughter of Sleeping Beauty, makes every waking moment count as an Ever After Royal. 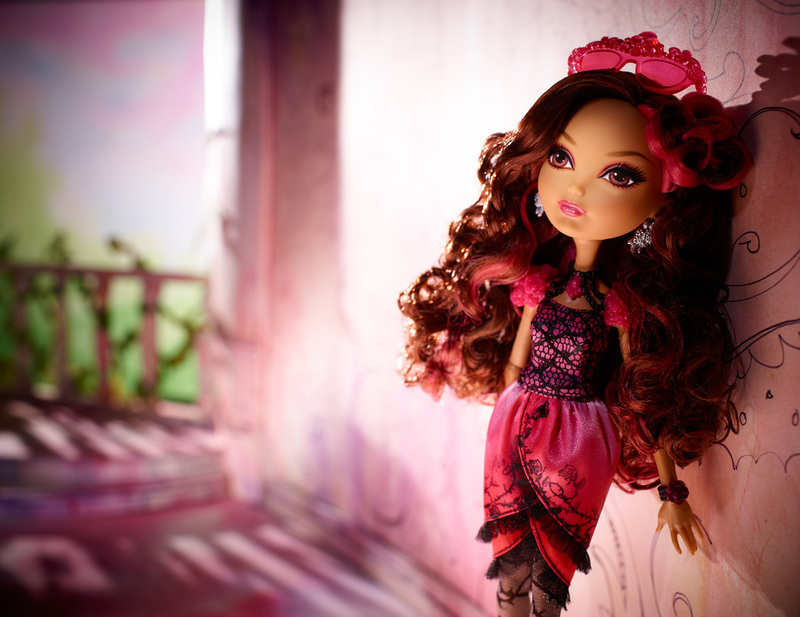 Briar is ready to seize the day in a chic pink dress with dreamy black lace over the bodice. 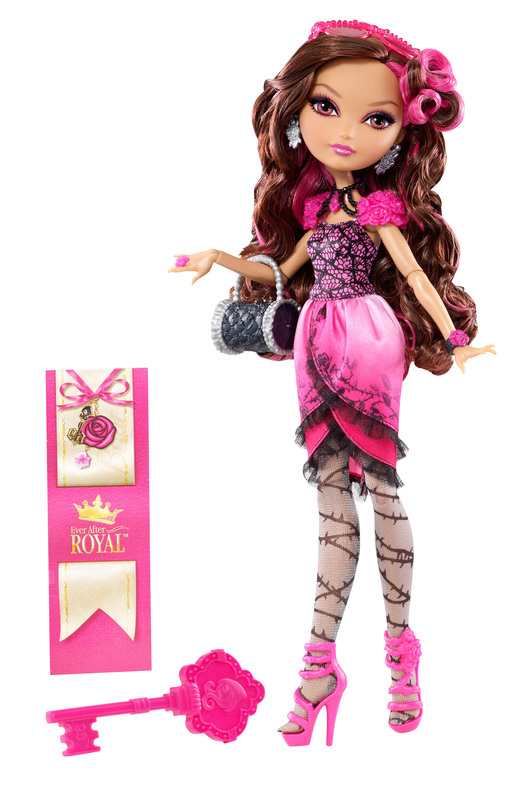 This fashionably royal “it girl” can conceal her sleepy bouts with pink crown-decorated sunglasses. A rose cuff bracelet is the perfect complement to her strappy pink shoes, silver earrings and black evening purse (that doubles as a pillow in those sleepy moments). Get the hexclusive side of Briar’s story in her story bookmark.